Whole of all procedures, techniques and measures in the vineyard and cellar to get out grapes one Wine to produce. Rebsorten were already cultivated before at least 6,000 if not 8,000 years and produced wine, prove that plant remains found in Asia Minor as well as numerous ancient wine vessels and artifacts from many areas. The cradle of wine culture Transcaucasia and the high cultures Mesopotamia, But the origin of European viticulture lies above all in the antique Greece and on the island Crete, Of course, this was done at that time with rather primitive methods (see in detail under Ancient wines and Antique grape varieties as well as the development of the "cultural heritage wine" under drinking culture ). Interestingly, some ancient techniques are used today, as in the production of Orange wine (Natural Wine) is the case. As a rule, the process, also referred to as vinification, today uses sophisticated methods. It is in the art of winegrower the "right" procedures with the utmost care and hygiene to apply or, if necessary, to refrain from doing so. In brochures and on winegrower websites one reads in this regard very often the catchwords of "controlled idleness" or "as much as necessary and as little as possible" or of noninvasive Winemaking. By this one understands a gentle, low-stress production, by relying on the transport of grapes, cider and wine as possible on the gravity, on certain techniques such as filtration or beautiful omitted or as few as possible no substances up to hardly replaceable sulfur used. So it is, the approximately 300 approved Means in winemaking to use as correctly as possible. The specific conditions in a vineyard in the context of the tradition in the area and the art of the winemaker are often associated with the French term terroir designated. Winemaking begins with the selection of the vine and also the document which, on the basis of their individual characteristics, should be taken into account as much as possible climatic Relationships and of soil type selects or plant out. An absolute prerequisite for a good quality is the Weinbauwürdigkeit That is, the suitability of a region / region for viticulture, for which there are a variety of measurable criteria. This continues with the Weingarten Care (Keyword "quality is already created in the vineyard"), the different cellar techniques mentioned below for each type of wine and the bottling and eventually eventually only after prolonged storage in the bottle finished before the marketing. Depending on the quality and type of wine, this can only be a few weeks or months for simple wines, but for special products such as sparkling wine or. champagne, Dessert wines like Madeira. port wine and sherry as well as long in wooden barrel or Barrique even a few years until they can be marketed. For premium wines with long durability or maturation potential, the process continues with the bottle aging continued. This means that such wines only after many many years of maturing their maturity to reach. Under the keyword special wines there is a lineup of around 200 in the glossary described wines with often imaginative names. However, most of them have no legal meaning in terms of wine law, but only locally limited traditional or colloquial meaning. For example bikini wine. Firewine. prison wine. spiced wine. counter wine. Pope wine. gun wine. final wine. holiday wine, and second wine, Also Barrique wine. Dessert wine. diabetics wine. kosher wine. altar wine. 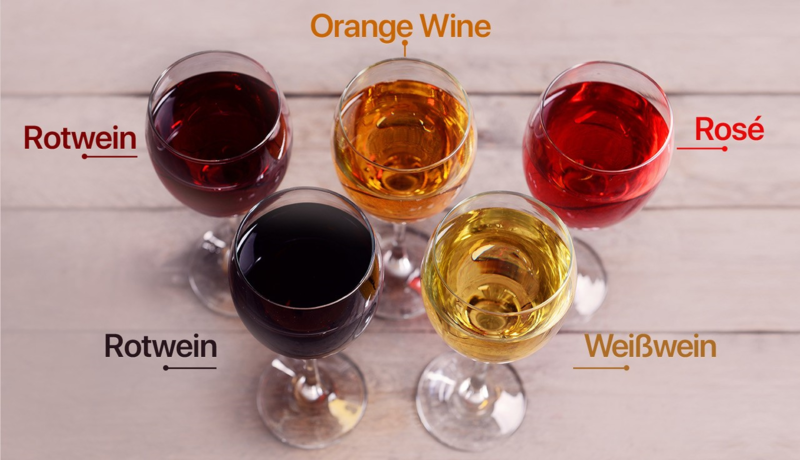 Orange wine (not yet), sweet wine and vegetarian wine are not relevant under wine law, but only colloquial terms for certain types of wine. All wine law matters are under wine law to find a list of all around 70 relevant keywords on the complex topic. These include, for example Designation rules. label (optional and compulsory information), EU regulations. quality system (Wine levels and labels) and Quality wine-grape varieties, The country-specific wine laws are listed among the approximately 100 countries, which are described with their own keyword (see a list below wine producing countries ). More and more producers are becoming environmentally friendly, sustainable Production forms of the Organic (organic) viticulture applied, which is a use of the name Biowein strictly regulated by wine law and not only concern the vineyard work, but also the cellar technology. Some are not uncontroversial or only in the New world usual / allowed, but within the European Union prohibited for member countries. This page was last modified at 11 April 2019 at 15:43.